The AQ2200-221 is a high-performance yet compact module equipped with two sensors. The module offers high-speed sampling, low polarization dependency, and rich data processing capabilities for improved measurement throughput and low-cost multi-port measurement. With two high-performance sensors in one slot, this Optical Power Meter Sensor Module is ideal for space-saving, multi-port measurements. Compact, the AQ2200-221 comes with two high-performance sensors in a module the size of just one slot. Ideal for powerful yet compact systems. Can be combined with various AQ2200 series modules or other Yokogawa's optical communication measuring instruments to build versatile measuring systems. 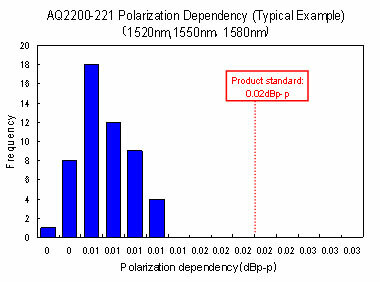 The AQ2200-221 is a high-performance yet compact module equipped with two sensors. The module offers high-speed sampling, low polarization dependency, and rich data processing capabilities for improved measurement throughput and low-cost multi-port measurement.